Today we left fairly early (just after 8am) after a good breakfast and planned a shorter ride, as we were told that rain was expected in the afternoon. The WLAN did not work at our accommodation, so we hadn’t booked a hotel for the evening and had to allow some time to find accommodation too. In total we covered about 49km from Kulmbach to Münchberg, including our search for hotels. 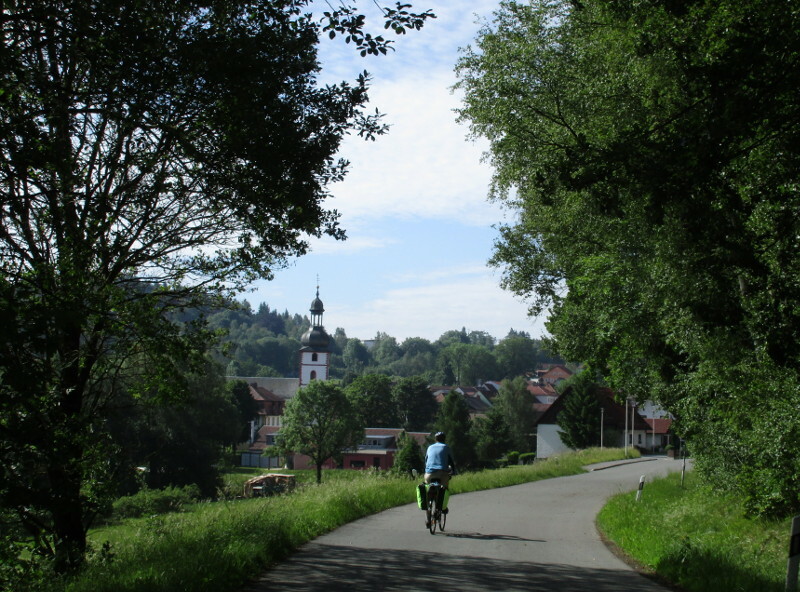 The first part (15km or so) was uneventful – through some tiny villages. 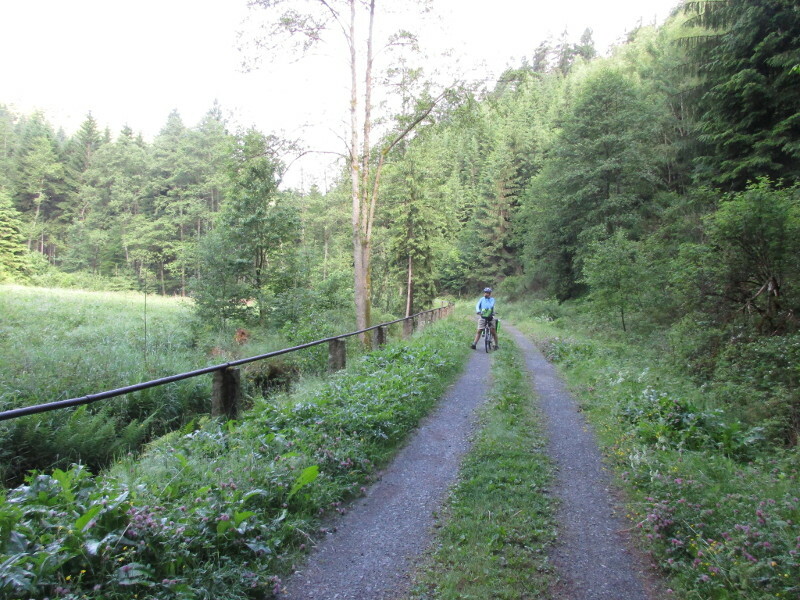 then we turned to cross a hill to Marktshorgast – to get there we had to go through a small forest trail. This was one of the best parts of the ride. It was not always clear what road to take. Suddenly we were out in the villages again. 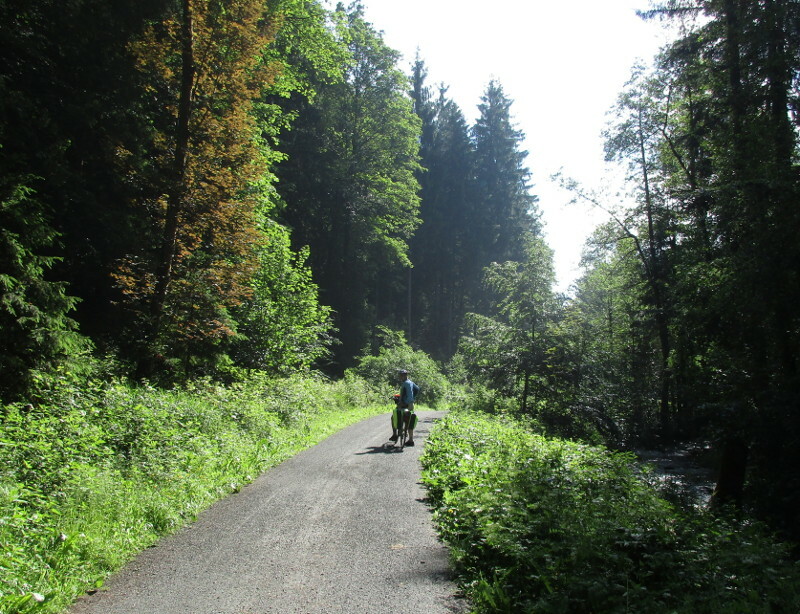 It seemed like the bike path was going in the wrong direction, and Kris was right. We got some directions from a woman walking a small dog and abandoned the bike path. We ended up in Hoflas and from here Kris navigated us from village to village – up and down many hills. 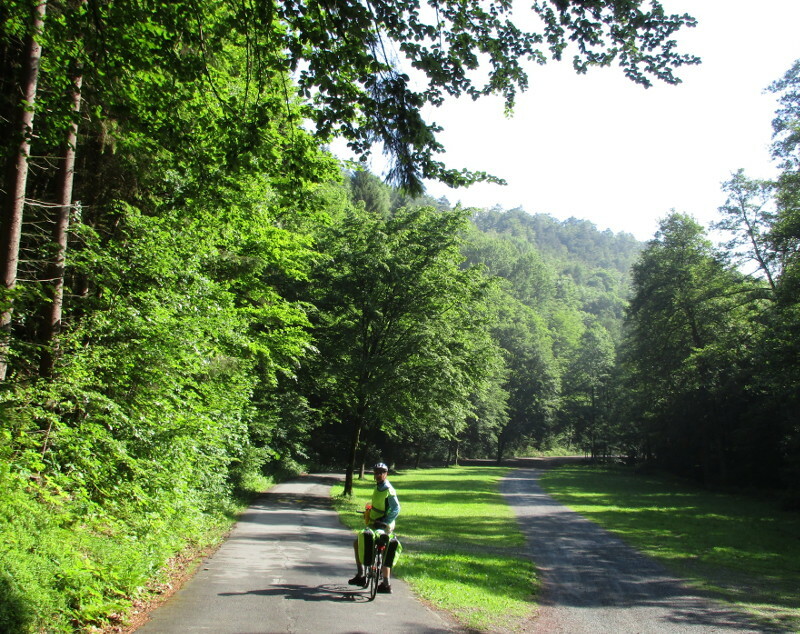 Eventually the cycle road signs reappeared and we began to follow them, but Kris realised we were going off track again – so we got onto a secondary road and wizzed into Münchberg with a strong wind behind us and a smooth mostly downhill road. Then we had a fairly unsuccessful search for accommodation. 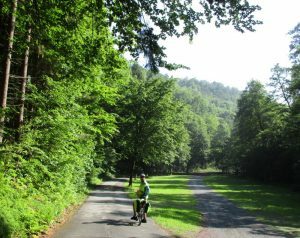 We got a list from the tourist info and ended up riding all over the place – adding about another ten kilometers to our ride. It was threatening to rain all this time, but thankfully held off. The first hotel was closed (for a rest day), and the second full. We ended up in a fairly overpriced and boring hotel in the middle of town.